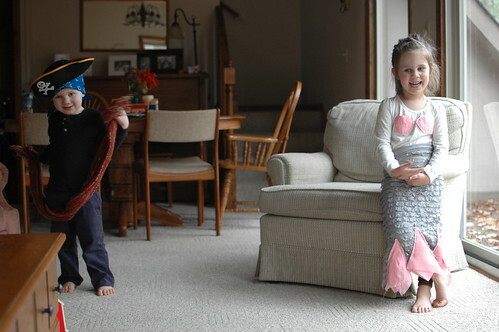 The best part of Isia's mermaid costume was her contribution. In years past, we would go to the fabric store & I would just pick out a few options for her to choose from. Not so this time. She loved looking through the fabric (just like her Mama) and found this pink one all by herself. I wasn't sure how well it would sew, but it ended up doing nicely. And it made her so happy that she was the one who found it! The end product looked like this! The shirt was a long-sleeve cream one we bought at Target to keep her comfortable & warm. It's also made a great addition to our dress-up basket because she can put it on all by herself. Billy's pirate hat has been a fun addition to our dress up basket too. He's all about "bad guys" these days (which means any character, not just the villains) so he loved his pirate get-up. Aren't those ruffles perfect? I was so excited, and it was easy to work with too. Since it's stretchy I only made a folded-over waistband at the top & didn't worry about any additional elastic. I also made it pretty snug, which helped it to stay up. For the bottom I trimmed the fabric directly under the bottom ruffle, and no other hem was needed. Since I wanted her to be able to walk, I did cut out a triangular portion in back (not pictured) starting at her knees and ending at the bottom of the skirt. 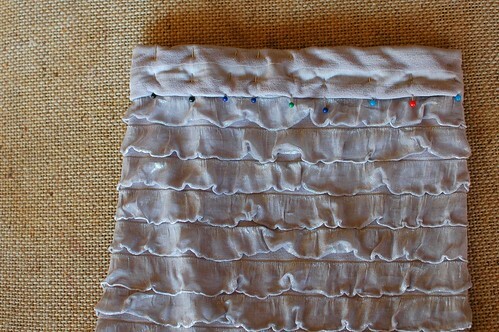 The pink fin pleats (see above) can be found in the tutorial, very simple! 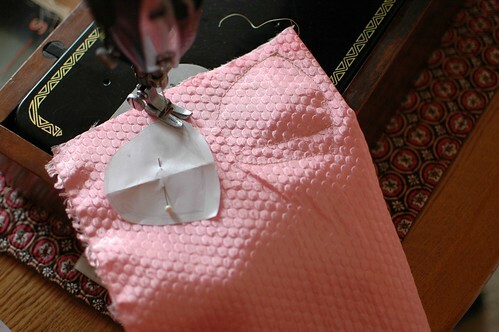 The only modification I did was to sew the sides on- to make them sturdier- while leaving the bottom pleats open. 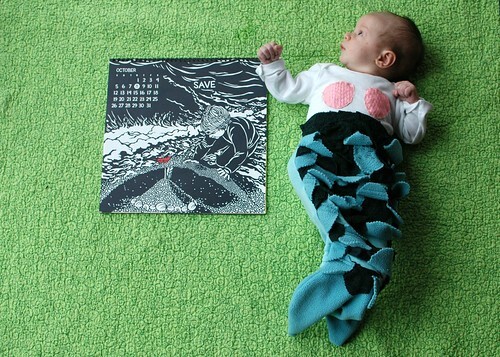 And what do you get when you cross a mermaid and a pirate? A little girl who's ready for adventures! I love the mermaid costume! It's adorable!! 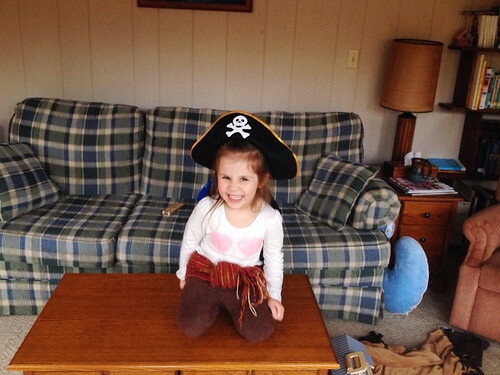 Well done Cassidy... the pirate is pretty darn cute too. So much has been going on in your world! Little ones growing into bigger ones just in time for more little ones to show up! Lucky you! Take care! You've been missed! Thank you for your kind words. Reading about your big ones always reminds me how quickly it goes!